A recognized leader in WITSML, Petrolink brings over 10 years of expertise in writing the standard and delivering key WITSML technologies and advancements. This open standard for transmitting technical drilling data between disparate systems and companies in the upstream petroleum industry allows previously incompatible or ‘closed' systems to interoperate and share data. By collecting and storing drilling data in WITSML, operators avoid being ‘locked in' to one vendor's real-time system, process or analysis tools. With Petrolink WITSML solutions, operators can collect data from disparate downhole and surface tools and transport it in real-time to a standards based WITSML central store such as Petrolink's PetroVault™. Once in this store, the data is available to a wide variety of analysis and visualization tools. We can convert any rig data feed to WITSML, and map it to our customers' standards. Using WITSML open standards, we manage the entire process, and ensure your data is available when you need it, in the format you need. Petrolink is proud to be WITSML certified. 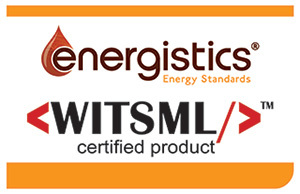 For more information about WITSML please visit the Energistics website.